When looking to hire independents, organizations have quickly made Apple's Swift programming language one of the most sought-after skills, freelance marketplace Upwork said on Thursday. Swift's growth was attributed mainly to the holidays, and specifically "record high" sales for the Apple Watch, which runs apps based on the language. 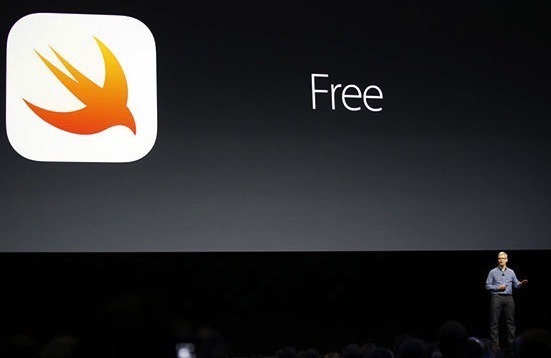 Swift can be used to code for other Apple devices however, including iPhones, iPads, Macs, and the Apple TV. Upwork noted that skills in Bluetooth ranked 19th on the list, owing to a range of new devices including Apple's iPhone 7, which lacks a 3.5-millimeter headphone jack and depends on Bluetooth or Lightning for external audio. Accordingly, Apple launched several new Bluetooth headphones in the fall and winter, namely the AirPods and two Beats products, the Solo3 and Powerbeats3. Apple's Swift team recently took a blow when the principal creator of the language, Chris Lattner, left Apple to become a VP at Tesla. At his new home, Lattner will be heading the development of Autopilot, which already offers some self-driving functions on Tesla's cars and will eventually enable full computer control.